190 pages | 20 B/W Illus. 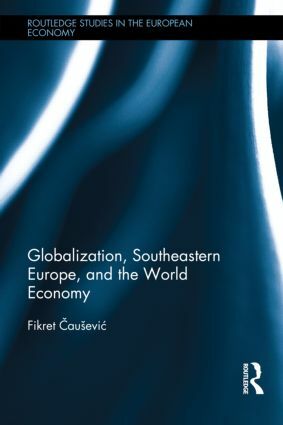 This book explores the key economic issues facing Southeastern Europe and Bosnia and Herzegovina, within the context of the serious challenges that the global economy has faced in recent years. The book combines rigorous analysis of the issues faced by the region with a constructive approach to identifying solutions for a positive future trajectory. The book starts by exploring the economic challenges facing the world economy both before and during the global economic crisis. The second part of the volume focuses on south-eastern Europe, and especially on the Western Balkans, assessing the best ways of achieving a positive economic future for small open economies in the region. The final part of the volume examines the economic challenges in Bosnia and Herzegovina. The final section examines the economic challenges in Bosnia and Herzegovina, arguing that it is most useful to view the country within the context of the regional and global economies. The book will be extremely useful for scholars working on European Economics, transition economics, and the global economy and the financial crisis. Fikret Cauševic is Professor of Economics and International Finance at the Faculty of Economics, University of Sarajevo, Bosnia and Herzegovina.